Home › Energy-Efficient LED Lighting › Levin 10 Led Wireless Portable Motion-Activated Sensor Light Bar Stick-On Any..
Levin 10 Led Wireless Portable Motion-Activated Sensor Light Bar Stick-On Any..
Advanced Motion Sensor: Adopting the Pyroelectric Infrared Sensor as scanner to detect infrared of human body.Lights on when you in the range of 3m and turns off when you left after 20s. 10 Bright LEDs: 10 energy-saving LEDs with longer life span,illuminate the dark place for you. Easy Installation:You can stick the magnet on anyplace with the strong 3M adhesive tape. And put the LED Motion Sensor Light on it.Bedroom, Hallway, Washroom, Drawer, Wardrobe etc. Rechargeable Battery:The LED Motion Sensor Light adopts rechargeable battery. Lower power consumption save your money! 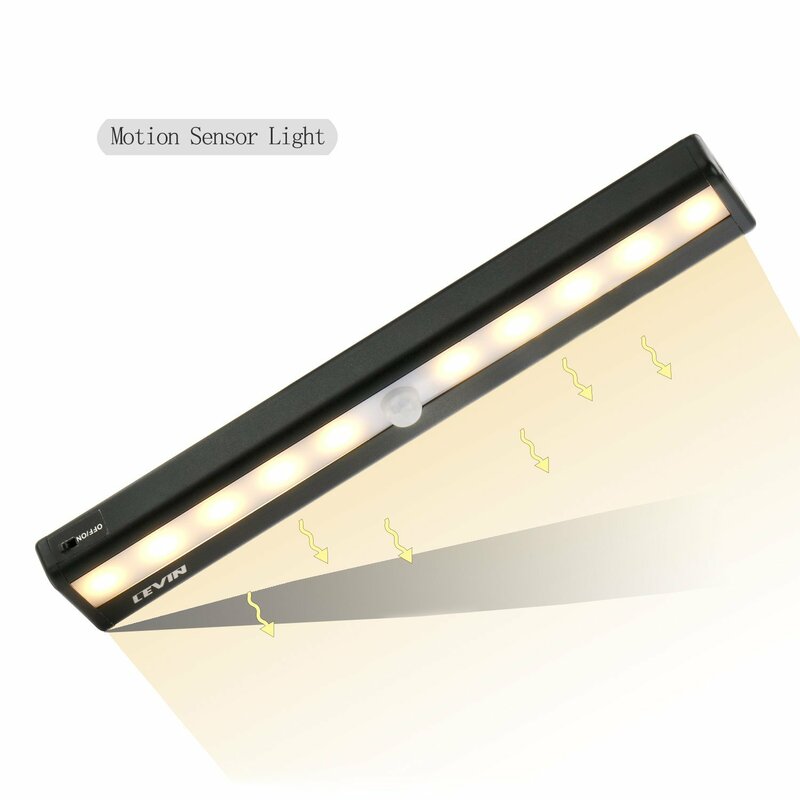 Intelligent Recognition:During daytime the LED Motion Sensor Light won't light up cause there is bright enough.It begins to work when the light goes dark.